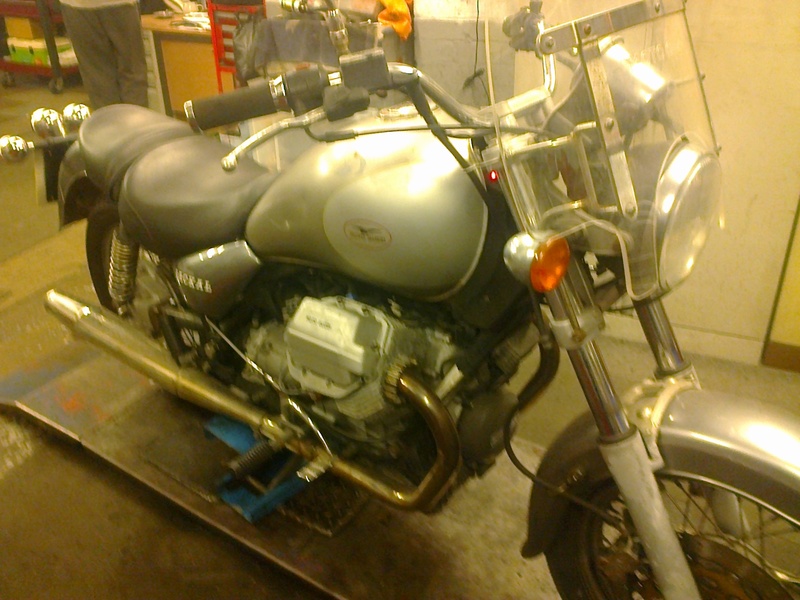 This was the first new Guzzi i ever worked on . It was sold with all the leather panniers and topbox , de-chromed , and powdered black , sold to a chap in Holloway. He doesn’t own it now ,”found ” in a barn …apparently . looking a bit the worse for wear . ← Honesty , does it pay ?